With Richardson joining the band in 2008, the band was complete. 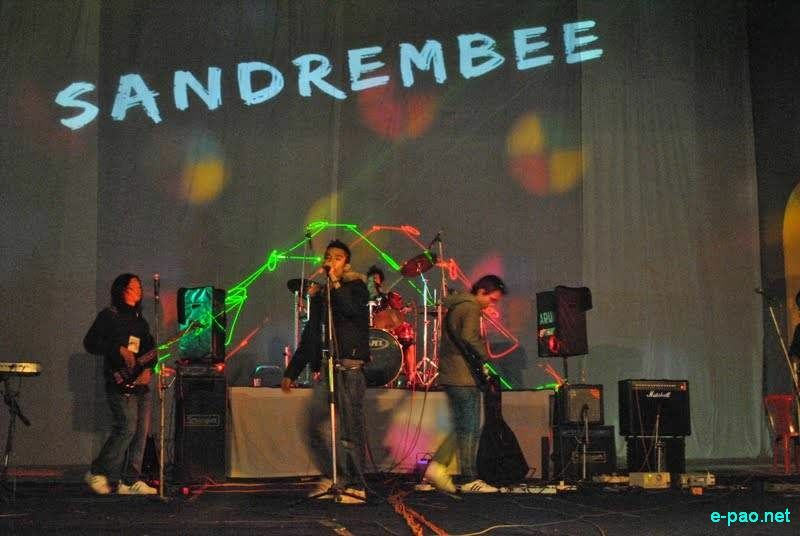 Since its inception, 'Sandrembee' told themselves "if this is what we are doing then we should strive to bring true passion and expressions in our songs and not like any make believe band with a make believe theme". The idea of playing covers was scraped, which Eroz like to say they were inspired by the rock legends of Manipur such as Phynyx, Cannibals, Kradle of beats, Dazzle city and Postmark. They wanted to do something creative, something meaningful and in true sense share their senses. When asked why they are around, they just said, to let their music heard and contribute something to the mundane the rock scene of Manipur. Genre: Sandrembee though claim themselves as a metal band, they have also perform acoustic, alternative music. Their music can be thrash metal, metalcore, groove metal, gridcore, technical death metal and math metal. Their music is constantly evolving so one can say SANDREMBEE is an experimental band. With the very idea of experimental theme, they have already released their first album - "Miscalculation and The Cosmic Catastrophe" (read the complete details here) ; 'Plague' which is going to be an experimental metal which they feel will be ground breaking in many ways and also a Manipuri alternative called 'koubru'(their only meiteilon effort inspired by the folk songs of manipur). The composition 'Faded Pages' is still on hold and is not included in the album. Songs: Their first single 'Slow Flowing River' was conceived at early 2008. The song chronicles the journey of a person who crave his past, going through rough journey to find happiness and at the end reaching nowhere. Its an acoustic, neat and stripped down song. The band at that time still does not have a drummer. 'The revolt' recorded at late 2008 is a thrash metal magnum opus inspired by the sounds of early thrash metal. This time they were more confident, more angry and they've got a drummer. The song is inspired by true events based on the indiscriminate killings, excesses of AFSPA that is very much going on in Manipur. Eroz' vocal was commanding, Chingkhei and Chickubi's riffs were heavy and nostalgic, Themis' bass was smooth, not to forget the powerful gut busting drums of Richardson, then a 17 year old. Their latest song 'chaotic theory' was released in mid 2010. Chaotic theory is as they say the most complex and mature song they have done, and chaotic theory took them into an altogether different level of metal, a more evolved metalcore unlike their classic thrash. chaotic theory's lyrics is also dark, complex and revolutionary. All lyrics by Eroz, all Studio recordings done in Shallow Rivers Studios, except for chaotic theory includes Plague and Koubru. Influences: Influences are far and wide but to sum up, Motorhead, Metallica, Meshuggah, Lamb of God, Megadeth, Slayer, Pantera, Killswitch engaged, Slipknot as well as our own Phynyx, Cannibals and Postmark. Since their early teens, 13/14, they have been into their own musical icon. When characterized individually, Eroz worships Dave Mustaine of Megadeth, Jens Kidman of Meshuggah, Randy Blithe of Lamb Of God and Lien Gangte of Phynyx. He has also tried varying vocal scales, from alternative mellowed sound, to baritone in 'the revolt' and the deep growls in 'chaotic theory'. Chingkhei is heavily influence by the likes of Joe Satriani, Steve Vai, Malmstein, Paul Gilbert. He taught the guitar himself and yet he's great with the solos. Chickubi is a good innovator, great with producing creative sounds. He fills up the holes left by chingkhei. His influences are System of a Down, Lamb of God, Killswitch Engaged, he's a great riff composer. Themis likes Cliff Burton, Tom Araya. He provides a mellowed and smooth bassline. Richardson is the youngest in this band. He's a great double bass drummer inspired by Chris Adler and Tomas haake. Nevertheless, Mostly they are self taught. "we do got some valuable tips from our elders. Themis' family has always been in the musical works. Chingkhei's brothers have been in rock bands. Richardson's father himself was a drummer of an early 90s rock band. The songwriting works are maintained by Eroz, collecting ideas from the bandmates. Growing up, he used to write poems, inspired by the romantic victorian era english poems. His progressive themes can be seen in their lyrics". Sandrembee has made their presence felt in a minimal way. They keep away from most rock shows, for reasons best known to them. They appeared in Metronome2009 edition after a long wait. The response was overwhelming to them, the crowds liked their musical style, stage presence and ethics. Memorable experiences: It was in metronome 2009, on a chilly December evening. They always wanted to get on stage but balancing the band and academics was not easy. "Metronome gave us the perfect opportunity. our friends were there, families were there cheering our names, we got into ignited verbal spat with the audience and that lifted our spirit even more...". Another experience was when the band went for recording for their first song 'slow flowing river', "we were completely new, not sure if this was right, we felt like we were a bunch of gimmick in the rock scene". The 2nd recording for 'the revolt' was the best feeling ever expresses Sandrambee. They were doing a genre they love, the song was all planned out and shankar from shallow river was very understanding and helpful...taking them to a different serious level... their third song 'chaotic theory' took them 1 year in composition, they tried lots of stuff in this record. Unfortunately, they didn't get a chance to record it in a good studio, the quality of the song was not up to the mark. "we remember the day when we took our instruments in a van. the van was so much packed with everything, drums, guitars, processors, that we were fighting for space. 'chaotic theory' was completed in 2days worth of recording time. we were toiling from morning till late evening, living on coffee and chips. all in all, it turned out to be a pretty unforgettable experience.. over all three genres tried and planning to do more". Sandrembee on the current rock scene of manipur: "Manipur has been a cradle of great rock legends, the like of Lien Gangte of phynyx, who can forget his pitch in Woman, Postmark's Stamp on You, Jessy Ralte of The Dark Krusaders, Momocha of Cannibals. 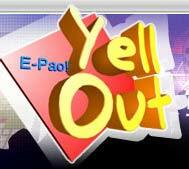 But for sometime now, Manipur has remained rock silent. Some bands have been around but not appreciated". They felt that rock scene in Manipur is dying, the audience does not want sub standard music, the sound system of rock shows are poor, the government and mainstream media ignore the music potential. Rock music is done only through some dedicated channels. And Rock Management team like Riverboat is organising music festivals regularly with an aim to revive rock culture. In Manipur scene, the most notable is the river boat management. They believe the time has come for them to prepare themselves to welcome many new budding rock bands so that they can unleash ''The 2nd Wave of Heavy Metal from Manipur'' to the rock scene of India whatever the odds. "We wish Manipur was the rock capital which could have been achieved in the 80's with so many remarkable legendary bands lie phynyx, cannibals, post mark around at that time...very unfortunate that the movement they started were lost in the next decade due to many socio-political unrest. We wish to see bands from Manipur making it big like our father figure bands did. We want to be remembered like them so that one day our grandkids can proudly say that their grandpas are Rock legends. We yearn for the day when manipur become a peaceful place and a paradise to live in. 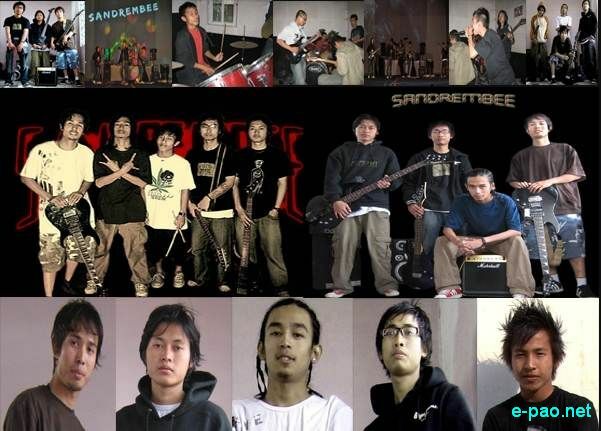 Footnote: According to them they're not just a group of heavy metal freaks as they aim to highlight the socio-political issues confronting Manipur through music before audiences outside the state. For instance, one of the songs, Gangraped, describes how girls from the Northeast are raped and molested in big cities like Delhi. Revolt, another extreme metal number, is a voice against culture of violence in Manipur. (May we be blessed by our Motherland). Our gratitude to our manager Rajiv Nongmeikapam, without whom the whole album would not have been possible.